Microsoft has announced it will cost over $1 billion to fix "an unacceptable number of repairs" to the Xbox 360 system. The company has been under increasing pressure to address the growing number of complaints regarding Xbox 360 hardware failures. 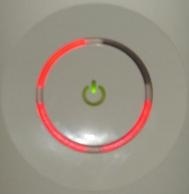 Prior to this, Microsoft had refused to comment on the possibility of an endemic flaw in the console, but now says it has identified "a number of factors" that can cause the so-called "Red Ring of Death" failures. Robbie Bach, president of Microsoft's entertainment and devices division, said that many of these factors would take time to appear, leading to a higher number of failures in the second year of the system's release. He refused to say how many of the consoles had been returned due to failure, but did say, "The number is too large." In response to this, Microsoft said it will extend the warranty coverage of the Xbox 360 to three years, and reimburse any customers who had previously paid for Red Ring of Death repairs. Modifications have also been made to the system to improve its reliability. Estimates of the final pre-tax charge to cover the repairs range from $1.05 billion to $1.15 billion. Along with this announcement, the company also reported it had missed its shipment targets for the end of June, shipping 11.6 million Xbox 360s, short of the target of 12 million. This, along with increasing expectations that Sony will announce a price cut for its PlayStation 3 console at this year's E3, have led to concerns that Microsoft could lose the edge it currently holds over Sony in the console wars. According to Bach, however, the timing of the announcements were completely unrelated to Sony. "This is just one of those things that happens when it happens," he said. "We reached our conclusion early this week and because it's a financially meaningful issue we had to announce it immediately." Bach refused to comment on whether Microsoft would respond to a PlayStation 3 price cut with one of its own, saying, "We will assess what we do with pricing and other aspects of our business based on our own business." A 3-year warranty won't persuade me to buy a defective console. I'll hold off until they come out with their redesign. However, the 3 year extension is a nice gesture to existing owners. It's a good thing Microsoft doesn't have to worry about, you know... money. As having been one of those who was struck with the Red Ring of Death, I must say that while the systems may be defective, Microsoft has done a terrific job supporting those who have already purchased a system. The extension of warranties and the immediacy of their service (the entire process, from breakdown to retrieving a fixed system from UPS, took about a week) makes a consumer of a faulty product feel like they've gotten their money's worth. It's difficult to judge the actual merit of Microsoft's response without having some solid numbers about how many consoles are expected to go bad. What we've seen so far could be just the tip of the shitberg, in which case there'd be no choice but to act. If there was any serious belief that they could ride out the storm, though, I imagine you'd still be seeing little more than smiles and spin. Still, give them props for acting decisively when the hammer came down, and not dodging their responsibility. Three-year warranty and reimbursement for anyone who had to spring to fix a RROD is pretty solid. As much as I admire microsoft for fronting up to help the people they've screwed over with shoddy hardware, it doesn't change the fact that they screwed people over with shoddy hardware. It shouldn't take such a massive percentage of failure for microsoft to admit that a one year warranty wasn't quite long enough. If the failure rate was lower, then anyone who's system broke after a year plus a day would be out of pocket, just to continue playing games on microsofts system and in turn continue giving them money. While I will admit that nintendo's old lifetime warranty was a little over the top, it certainly wasnt unjustified. 15 year old nintendo hardware still works in the majority of cases. If hardware companies expect a certain lifetime out of a console, they should be willing to keep that console running for that length of time with no extra cost to the consumer. Next xbox expected to come out 5 years after the 360? Give the 360 a 5 year warranty. PS3 is a 10 year console? Give it a 10 year warranty. This is simple. Stop making consumers pay for your mistakes. Have we figured out the proximate cause of this kind of failure? Is it overheating, or what? Maybe the 360 has been devlopped with Halo 3 in mind, and running the console several times in a week, without sliding a Halo 3 disc at least once, damages the console? I mean, the overheating problem may be due to the fact that there's not been any cool enough game yet. They probably planned on Halo 3's awesome cool factor. Speaking of Halo 3: I wonder if they are putting a one billion dollar loss on the books to offset the bajillion dollars they'll make on Halo 3. I could be completely wrong about this, but, wouldn't it be an interesting coincidence if they wind up paying significantly less in taxes on the Halo 3 profits because they can offset them against the 'losses' set aside for the RRoD fund? It is certainly not the least bit coincidental that this was announced on Thursday, July 5th, exactly 5 days into the Fiscal Year in which Halo 3 would launch. (MSFT's fiscal year ends June 30th). But, that they're spending the money for the RRoD fix was probably inevitable. They calculated what it would cost them in legal fees when the class action suit came, and chose to be proactive, as a defense against a class action starting, and as material for defense in the case of a class action suit. Their timing is really all that becomes coincidental/convenient for them. They would be idiots, and horrid at business (which they've proved time and again that they are not) if they did not plan large, semi-unexpected outlays in this manner.